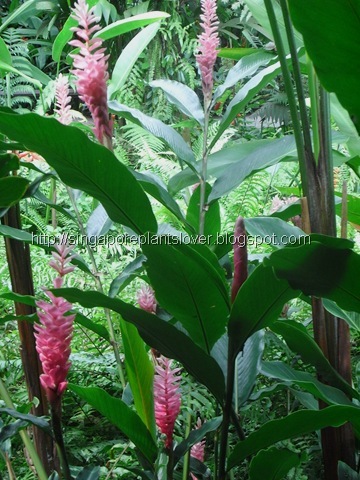 We often see red ginger flowers were planted by the road side, they are a very popular landscape flowing plants in Singapore, But there are not many pink ginger flowers used in landscape design. I don’t really know the reasons. These two photos were taken at topical flowers section in Singapore Zoo. The new plants are growing from the flowers. It is a fun fact of this ginger flowers. To see other flowers from around the world, visit Today’s Flowers, created by Luiz Santilli, Jr. Your photos are wonderful. 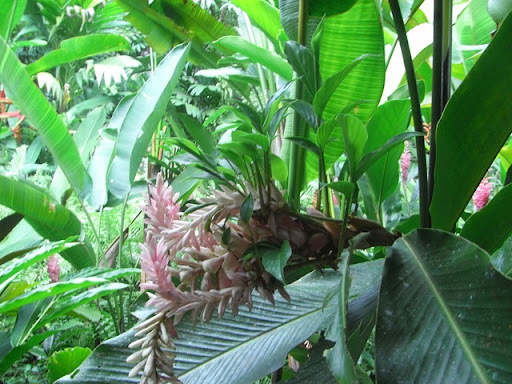 Ginger plants are such a pretty flower and thank you so much for sharing them with Today's Flowers. Hope you send me photos of your marvelous flowers, then I will schedule you as Guest Friend of TF! Thanks for posting for TODAY'S FLOWERS!